Marinediesel Sweden engines provide one of the most durable yet lightweight commercial marine engines available. 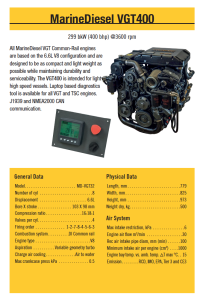 Their VGT range is unrivalled in its power density. It is the most powerful engine in its class AND the lightest. Marinediesel Sweden engines are in service with leading commercial, search & rescue, leisure and military operators worldwide. Their engines are best suited to vessels like small fishing boats, pleasure boats, water taxis and government agency vessels such as the coastguard. Package propulsion solutions – With Marinediesel engines, the engine, gearbox, and propulsion systems are all in one place. Consequently, they offer immediate cost savings and a lower through life cost. Low Fuel Consumption – The VGT range has been proven to offer the most power at the lowest fuel consumption in its class. 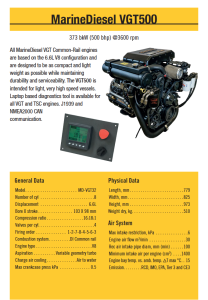 Best Power to Weight ratio – The VGT range has been proven to offer the most power at the lowest weight in its class. Affordable price – Marinediesel engines are priced for competitiveness and are designed to last. Global spare parts availability – Even in the most remote locations. Marinediesel is recognized as a performance leader. Their engines are designed to withstand heavy use and therefore have longer cycles under heavy commercial use. 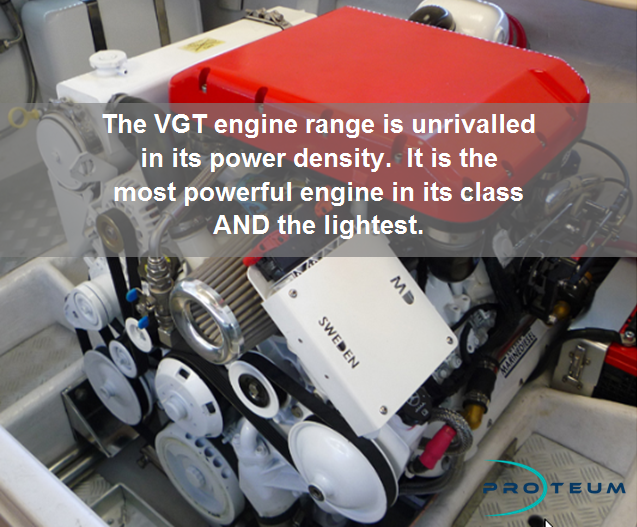 Their engines are amoung the most durable and innovative in the marine industry. Marinediesel engines have been engineered specifically for heavy use in a full range of climate conditions. As a result, they provide powerful propulsion with unmatched reliability. They are among the fastest, most efficient and highest performing marine diesel engines on the market today. Proteum is the official UK & Ireland Distributor for Marinediesel Sweden. We work with a range of clients including boat builders, designers, operators and owners. Proteum offers a one-stop-shop for new engine sales, spare parts and servicing.